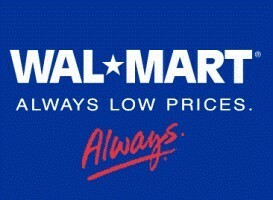 At any given point, a business can improve itself through various means. It can improve its production, its flow of goods, its finance management or the many many other operational stuff involved in the running of a business. Ask a Small businessman whose business is growing, and he will tell you there are many things that he wants to do for his business but is not able too – because he feels overwhelmed or because there is so much to do. One of the common reasons for the absence of change is that the change appears too big. Changing a complete business at once sounds like a daunting task and might overwhelm managers. 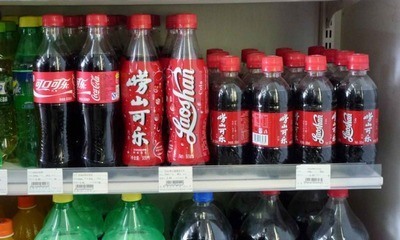 This is where managers start adopting the philosophy of Kaizen in their Organization. It helps managers in achieving continuous improvement – something they always strive for. 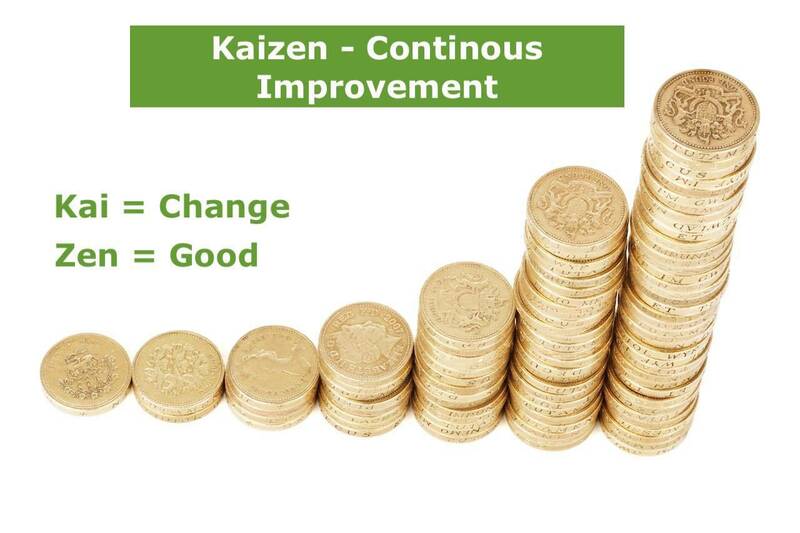 Kaizen is the process of continuous improvement over time. 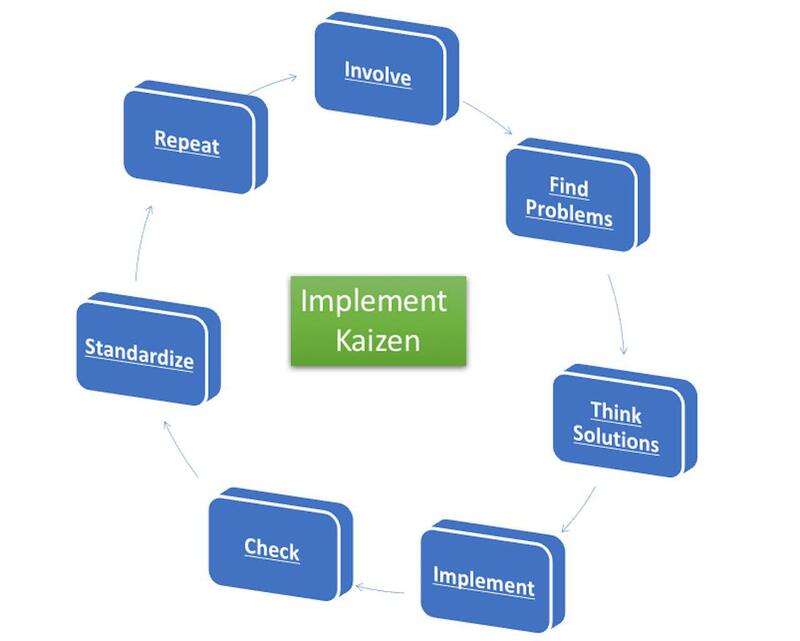 Quite simply, organizations who follow Kaizen believe in “one-time” or “step by step improvement” of their processes. As a result, they might not complete a task in one go but instead do step by step improvement of the said task and continually improve in small manners. The Concept originated from Japan and is a Japanese term which means “Change is Good”. Basically, the philosophy states that bringing small changes from time to time can result in a huge and positive change for the organization. Due to this philosophy, many Japanese firms are known to have one of the best productivity in the whole world. Kaizen can help in competitive advantage by creating a workplace which has no bloat and no waste processes. Continuous improvement can result in a firm which is highly efficient and productive – something all managers and companies strive for. Because of continuous improvement philosophy, Kaizen removes the issues and problems from the root and might completely change the operational flow. It encourages employees to come up with ideas and managers to act on them to improve processes. It results in the elimination of poor processes & issues which are creating problems, steps which are not needed and helps in the overall functioning of the organization. If an organization follows the philosophy of Kaizen, then everyone – from the CEO to the employees – are responsible for continuous improvement in their organization. Flow Kaizen – Optimize the flow of goods from the company to the customer in a continuous manner. Companies which have huge movement of goods like FMCG companies and Automobile manufactures need to continuously improve their flow of goods to match market demand and adapt to changing business conditions. Thus, Flow Kaizen can help them with this continuous improvement. Process Kaizen – Optimizing the processes existing within a company in a continuous manner to make the process efficient and productive. Example includes – Manufacturing assembly wherein steps are cut or improved from time to time to improve output rate and output quality. Involve Employees – The Kaizen cycle starts with analyzing the issues and problems which needs improvement. 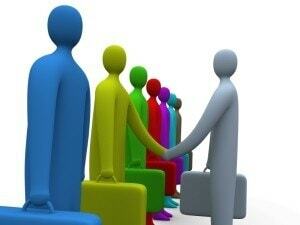 Employee involvement is very important at this stage. Process analysis / Finding problems – In step 2, you analyse the complete process and the reason why the issues and problems are arising or cropping up. Think of the solution – A creative method is involved where a person can think of any idea and innovate. No idea is rejected. Out of the ideas presented, one solution is picked as the winner and then this idea is implemented and tested. Implementing the solution – The idea which was selected in step 3 is then implemented and action is taken on it. Remember that in Kaizen, everyone is involved in the implementation and everyone is responsible. Analysis of results – The resulting change caused by the implementation is analysed. Again the complete process is analysed to determine the fit of the new method with the complete process. Repeat – The philosophy of Kaizen says that a single step will rarely bring about drastic improvement. Instead, small and continuous change is required to bring about a major change in the organization. Thus the cycle of Kaizen is repeated. The cycle can also be repeated after the 5th step if the new process implemented is not found upto mark. We have discussed more on this cycle in the article on how to implement Kaizen. The previous cycle was one of the cycles of Kaizen. There is an Alternate cycle on the philosophy of Kaizen which is much similar to the first one. 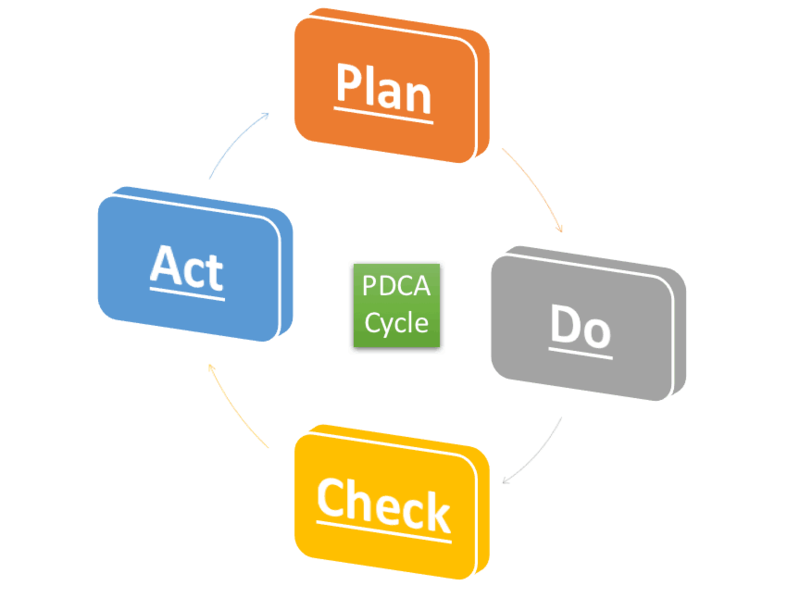 This cycle is known as the Shewhart cycle or the PDCA cycle. It is similar because the net result is the same as the 7 step continuous cycle of Kaizen. 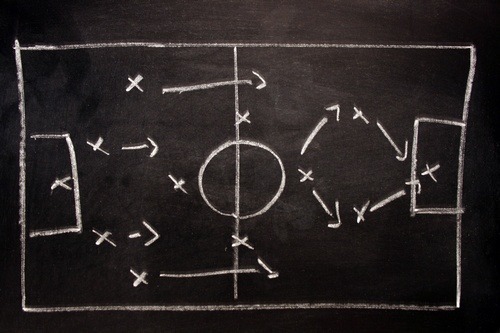 Plan – Think and plan the improvements which are needed. Do – Implement the changes in the organization. Check – Check the implementation and the compatibility of the change with existing processes. Act – Act on the findings again and repeat the process and keep identifying processes and elements which need to be improved. The five S is an organizational framework which helps in the improvement of workplace and specifically focuses on people. It results in a healthy work culture with specific rules and regulations to follow thereby standardizing work and making things easier. 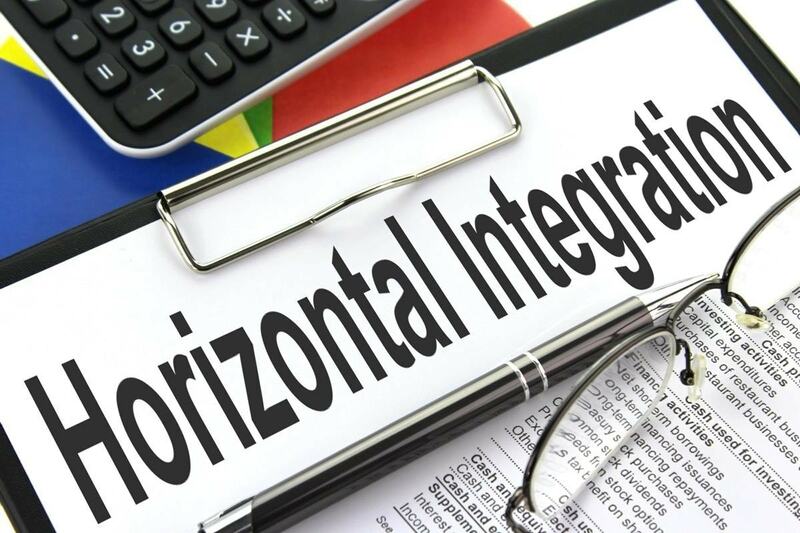 Naturally, it is closely associated with Kaizen and Kaizen uses the 5S framework for continuous improvement within the work culture and the work processes of the organization. In fact, a combination of 5s and Kaizen can actually humanize the workplace by reducing unnecessary work load and making employees happier. The 5S framework guides the employees on how to maintain their work space, how to have a better and efficient layout of your work space, how to keep yourself safe etc. The concept of Seiri or Sorting basically says that employees can get distracted with unnecessary objects and this distraction can affect their efficiency and productivity. Imagine an employee sitting with a complete pile of documents on his or her desk. The pile of documents has current projects he is working on as well as old projects and even future projects. This is not the way to operate and it will definitely affect the productivity of the individual. As a result, the 5s framework says that you need to sort this out in such a manner that they don’t become obstacles. The best example to explain Seition is an automobile garage. When you go to such a garage, it will be divided and sorted into specific sections. One section will be for the cleaning of the automobile, another will be for checking of engine and yet another will be checking of tyres, so on and so forth. The garage is very much sorted and “Set in order”. Furthermore, there will be countless tools arranged in their specific section, so that these tools can be used and reused by the service engineers of that section. Seition means setting objects in order so that it is easier for them to be removed. Many retailers use barcoding to set their objects in such a manner that deliveries become quicker and accurate. It is also preferable to decide a manner of setting the objects so that they can be removed on a FIFO basis. Cleanliness is godliness. If it wasn’t people wouldn’t be bathing daily. And this is exactly meant by Seiso for the workplace – Keep your workplace clean so that your mind is clear and can help you with progress. 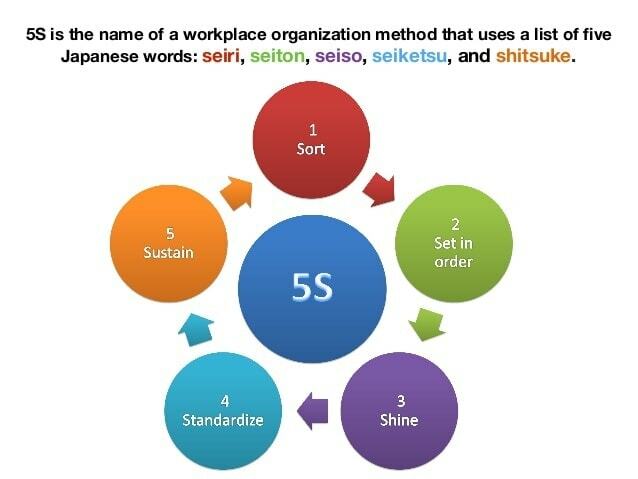 Organizations who follow the 5S of Kaizen keep regular inspections to look into the implementation of Seiso. Good things should be a norm and not an occasional thing. They should be followed daily and done by the book. So if there is a procedure which is working well then the same process should be standardized. This reduces stress and saves a lot of manpower and actually gives more space for creativity and efficiency. Shitsuke helps with maintaining order and discipline and ensuring that there is continuous implementation after all processes have been standardized. For this, it may use audits from time to time. Once you find something good to do, it should become more of a habit. Therefore, the 5th S should be sustained throughout the organization for a long period of time and people should improve on it further. Rather then losing the important knowledge and becoming complacent, the company should find ways to cultivate and sustain the knowledge of the 5S within an organization. Without this step in place, the other steps are meaningless as they will soon be forgotten. This step makes the employees and decision makers more independent and they themselves can implement the 5S of Kaizen and try to sustain and motivate others to adopt it. Waste Reduction – Whenever you want to improve things, you start with removing the waste thereby optimizing the process. Waste can be the wastage of resources or manpower. Productivity – With the reduction of waste, productivity increases positively. Results orientation – Kaizen is a process which is result oriented. There is clear demarcation of where the company is operating and where it wants to reach. Quality – With improvement in mind, managers always strive for the optimum quality. Kaizen helps bolster the quality of products and processes. 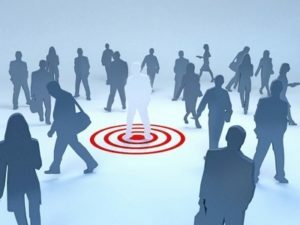 Accuracy – Due to the focus on getting results productively and with high quality, processes are found which are effective and accurate. Cost advantage – With everything working on high efficiency and productivity, there is a huge cost advantage to the firm because it gets more output with lesser input. Competitive advantage – Firms following Kaizen gain a competitive advantage because they are continuously improving and they might take newer competitors as benchmarks, learn new things and take their competitors down. Safety – Kaizen has a 6S which was recently introduced which stands for Safety wherein all organizations have to ensure that the process is safe thereby keeping the manpower away from any kind of harm. Empowerment – With several levels of hierarchy involved in Kaize, everyone is given freedom of expression which empowers them and helps them grow in the workplace. Happy workplace – All of the above results in a happy workplace where ground level employees also know that they can create a difference in the organization. Satisfaction – With a positive morale, there is all around satisfaction and this satisfaction reaches even customers who turn out to be satisfied themselves with the product and the services they receive. Continuous improvement – The best advantage of Kaizen is that it is never over and there is continuous improvement providing many number of opportunities for the firm to improve. This was the complete outlook on Kaizen, Why it is important as well as how to Implement Kaizen in your organization by using the PCDA model or the 5s framework. Also read – How to Implement Kaizen. Kizen made my home best as my work place.